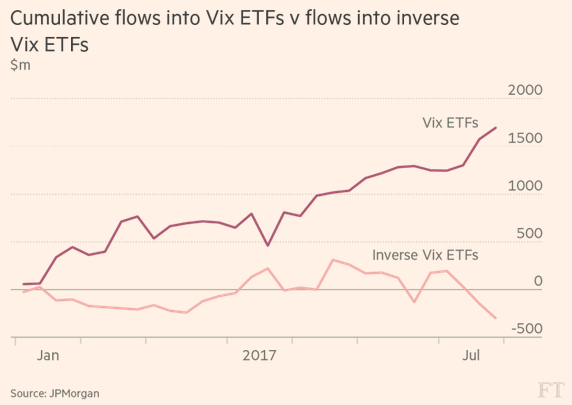 One index that hasn’t been participating in the market’s rally this year is the Bloomberg IPO Index, which is made up of companies that have IPOd within the past year. We just wanted to show you a quick chart to highlight the weakness for IPO stock performance. 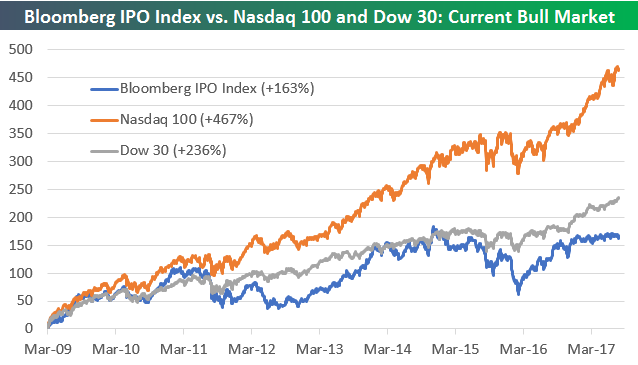 Below is a chart comparing the performance of the Bloomberg IPO Index to the Nasdaq 100 and the Dow Jones Industrial Average since the bull market began back in March 2009. As shown, the Tech-heavy Nasdaq 100 is up by far the most at +467%, which might make you assume that IPOs would also be doing pretty well. But even the Dow 30 has outperformed the IPO Index and by quite a bit at that! Since the bull market began, the Dow is up 236% on a simple price return basis, while the IPO index brings up the rear in this group with a gain of just 163%. Over the past year, the IPO index has basically traded completely sideways. 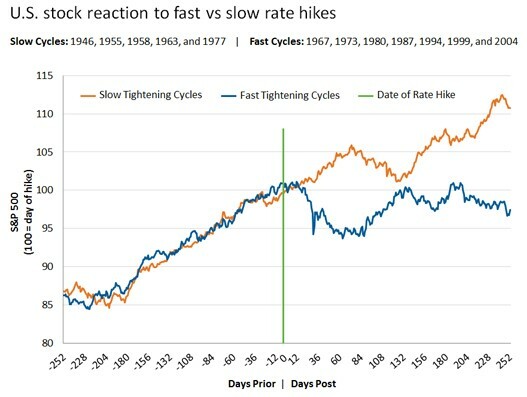 2.Interesting Chart on Fast vs. Slow Rising Rates and the Stock Market. 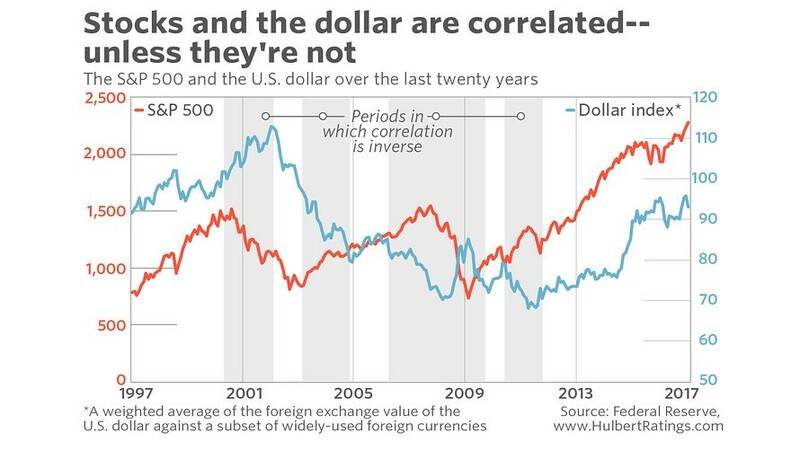 Spectacular as this example is, it is not the only time when the stock market’s correlation to the dollar has been the opposite of what we’ve seen recently. 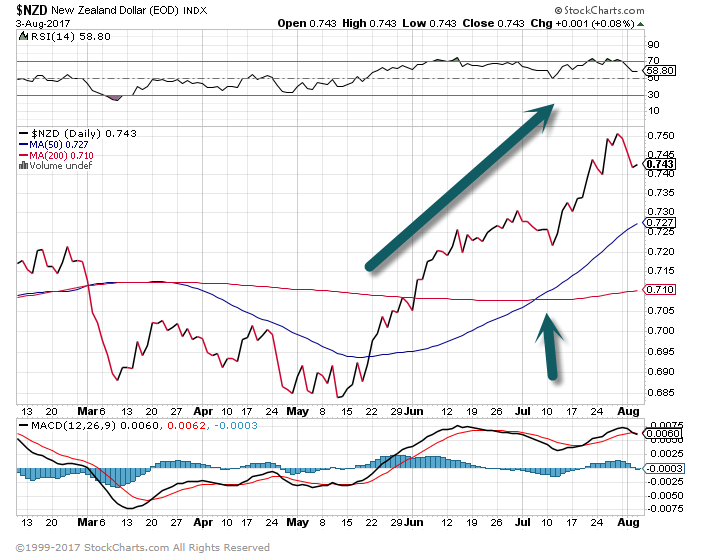 This is well-illustrated in the above chart: The shaded boxes show periods in which, like this year, the dollar-stocks correlation has been inverse. 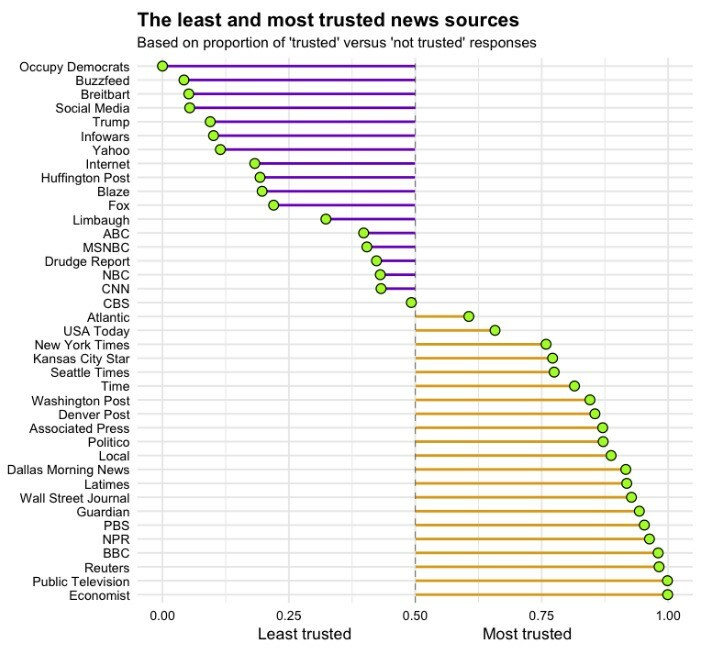 Notice that these shaded boxes cover only about half the time, and that in the other half the correlation is positive rather than inverse. In other words, sometimes a falling dollar appears to be good for stocks, but other times when it is bad. The same goes for a rising dollar. Good luck translating these historical precedents into a stock market trading rule. None of this means that you shouldn’t care — as a matter of public policy — about the dollar’s foreign exchange value. 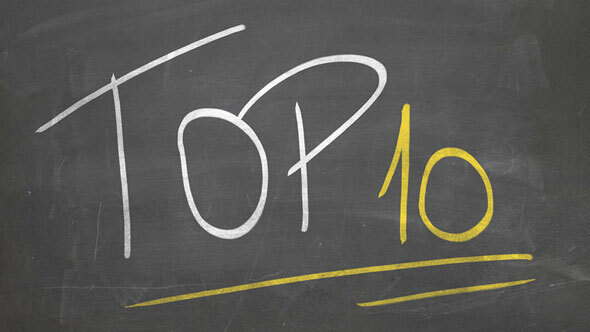 But when it comes to stock market investing, there are many more important factors on which it would be better for you to focus. 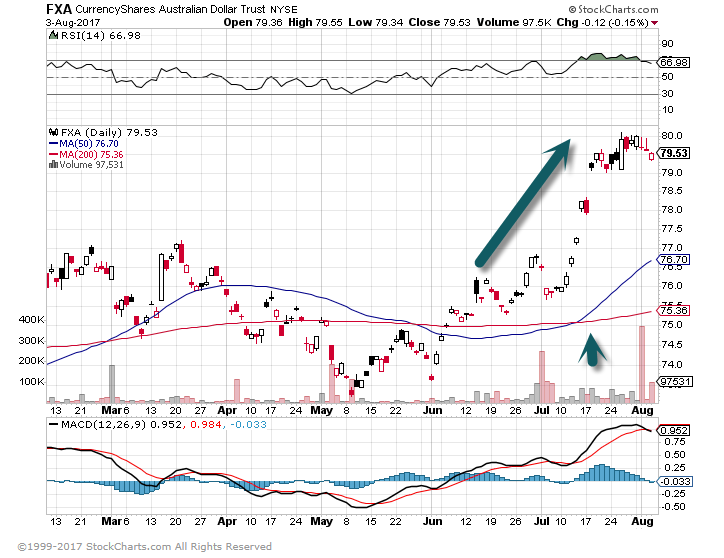 FXA Aussie Dollar…50 day thru 200day. 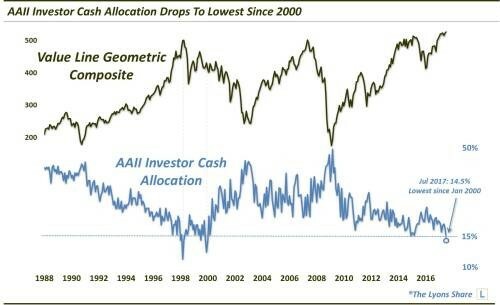 5.Cash Allocation at 2000 Lows …Tough to Interpret this Data with Cash Paying Zero and Money Still Flowing to Fixed Income. Specifically, the July 2017 reading of investor cash came in at 14.5%. This was the lowest level in the survey since January 2000. In fact, the only lower readings in the survey’s history back to 1987 occurred in January-April 1998, July 1999 and November 1999-January 2000. 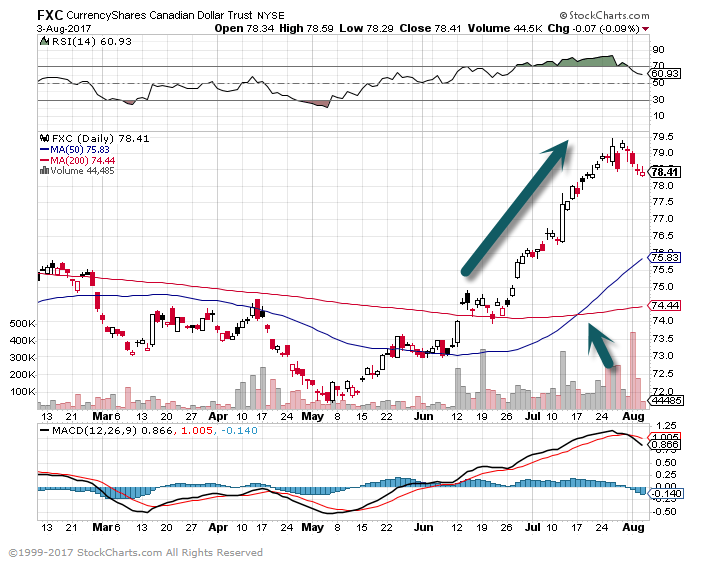 Is now the time to freak out about this low cash position? Probably not. Remember, market conditions have to be ripe for these secular, or cyclical, types of issues to unleash their ramifications. Given the close proximity of most market averages to all-time highs, we don’t think we’re at that point yet. That said, this is certainly a counterpoint to the “cash on the sidelines” argument. That just doesn’t appear to be accurate. 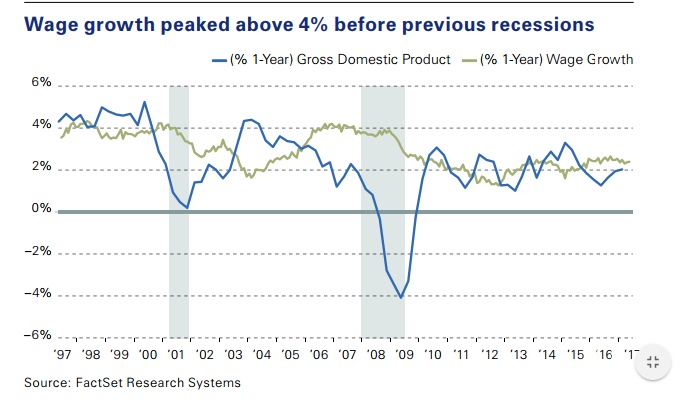 So while a crash, or even a major market top, may not be imminent, background market conditions are not at all favorable for a further, prolonged advance. 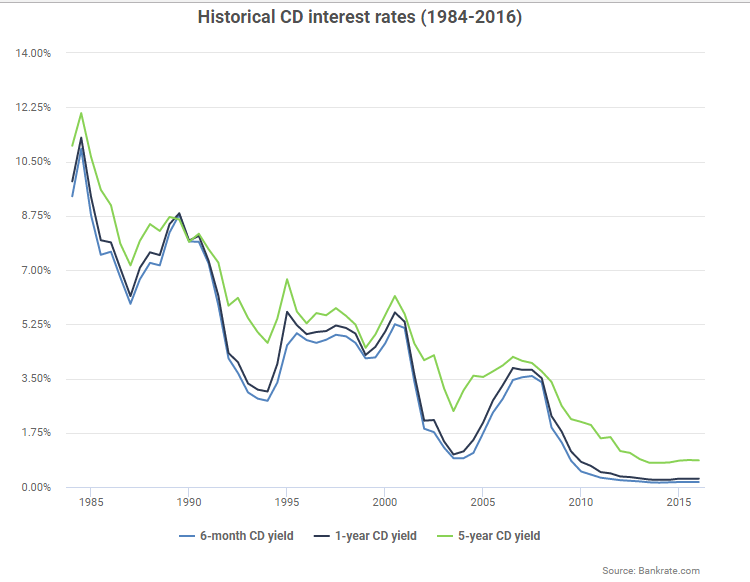 This chart shows the national average CD rates on 6-month CD yields, 1-year CD yields and 5-year CD yields since 1984, according to Bankrate’s weekly survey on interest rates. 7.Wage Growth Not Yet Near Previous Peaks.